Our 101 has had a roll cage fitted at some time and to do this the previous owner has cut holes in the bodywork and these need to be repaired for the restoration to be successful, very few people will want one of these beautiful cars spoilt by a roll bar, so here is what we do but until the body is finished it will look "interesting". 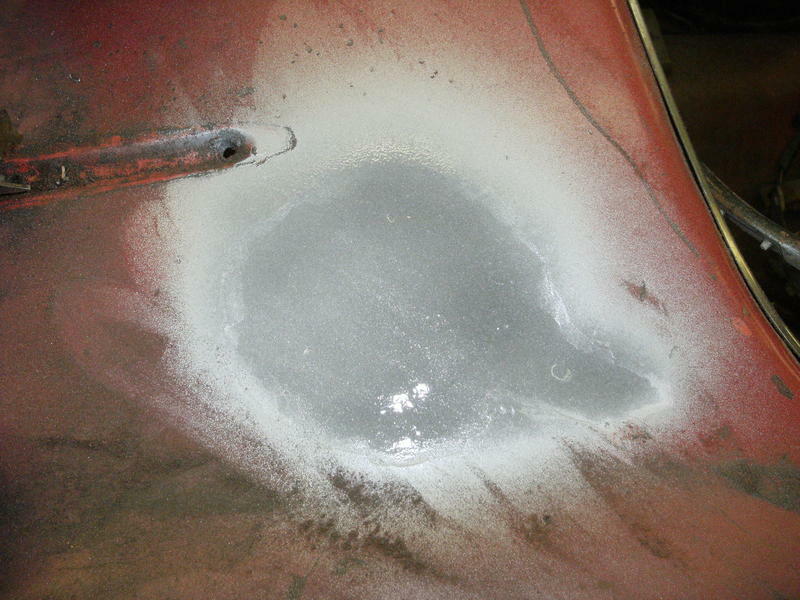 First of all you need to thoroughly asses the damage that needs to be repaired, and in this case it is a simple hole in a flat panel with no corrosion around it. 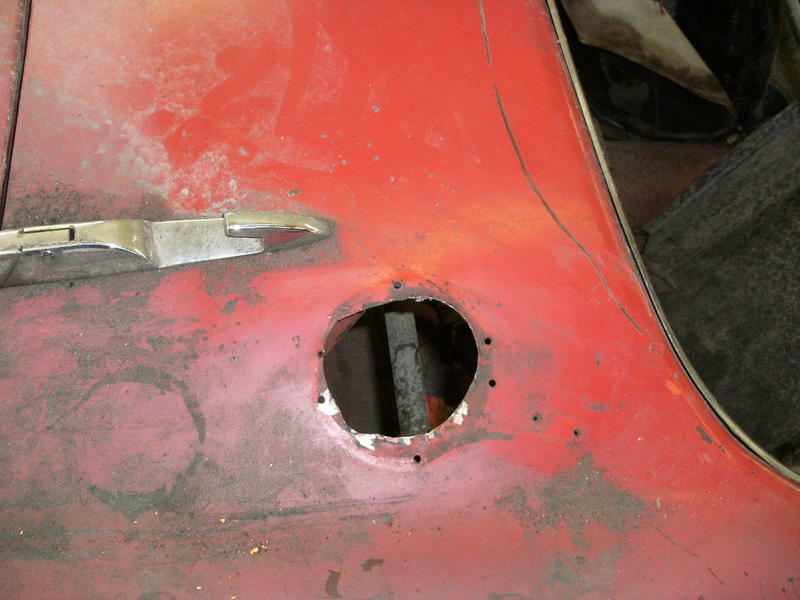 Next you need to select a plate and trim it to the correct size and fit it in the hole, you then need to weld the plate in place. 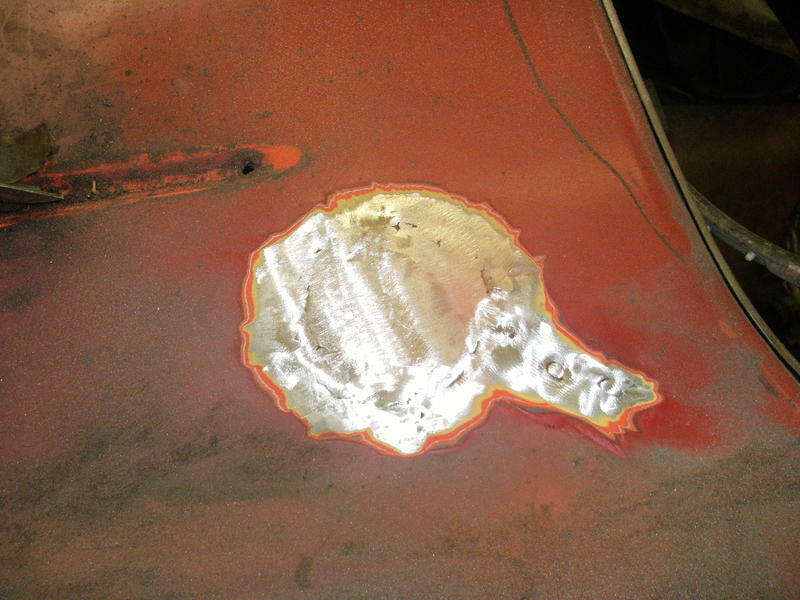 However if you just run a seam weld around the hole the panel will distort badly, so you tack the plate in place and then cool the weld. 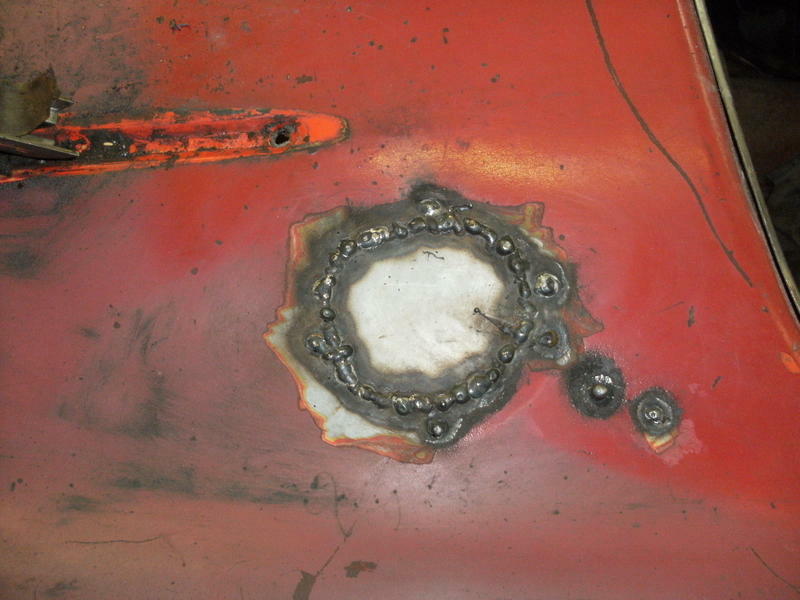 Then you need to do small sections of weld and allow them to cool before welding up the panel again in the same vicinity. Next you need to dress the weld. then a quick coat of primer until you are ready to prep the body for painting properly.